Let’s venture away from the typical pigs in blankets and bowls of pretzels shall we? 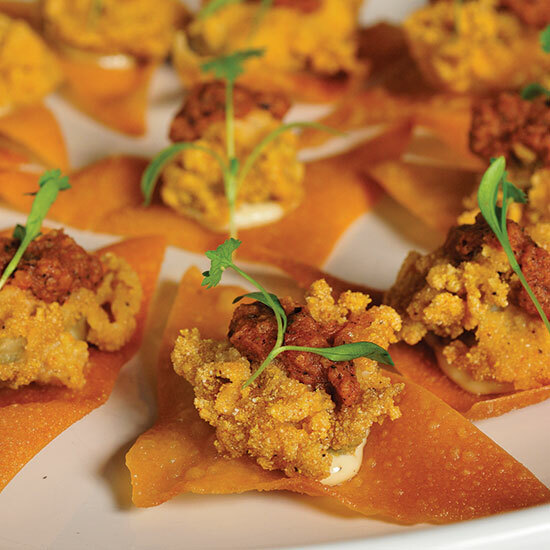 Experiment with these tasty, more original snacks. From one-pot sticky chicken wings to bacon-bourbon brownies, here are 22 innovative game day snacks. 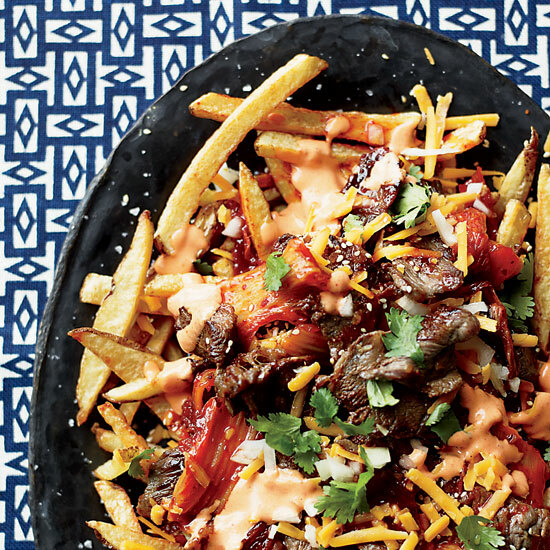 Up your french fry game. 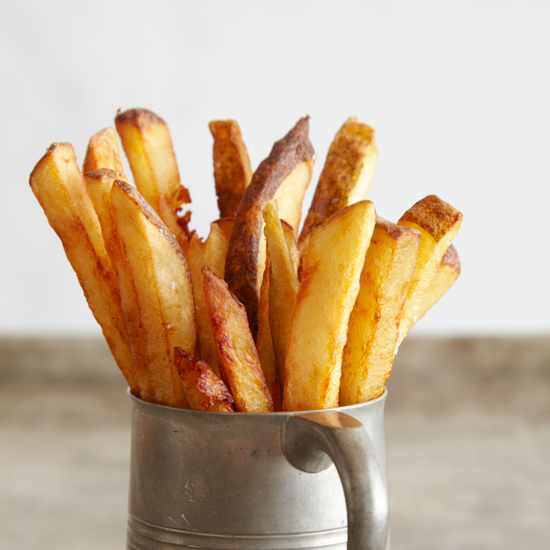 Crispy on the outside, tender on the inside and the best friend ketchup ever had, french fries certainly deserve a day of praise. That day is today. It’s National French Fries Day! So take the time to celebrate them by giving them a tasty makeover. 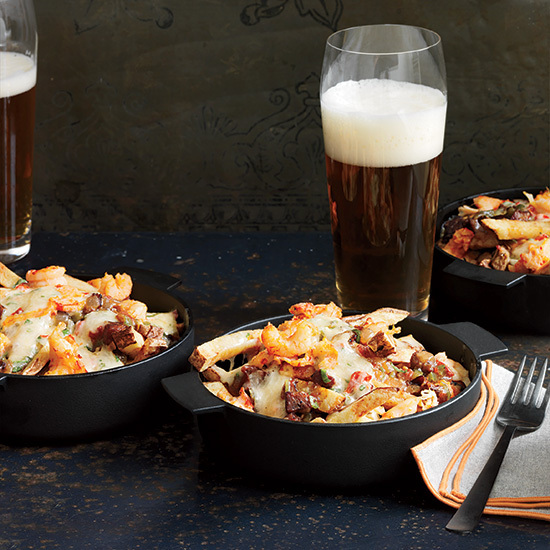 Here, 8 DIY french fry upgrades. April Bloomfield’s incredible thrice-cooked fries have a cult following at The Breslin. That’s because she boils them (to make them extra tender), then double-fries them for an insanely crispy exterior. 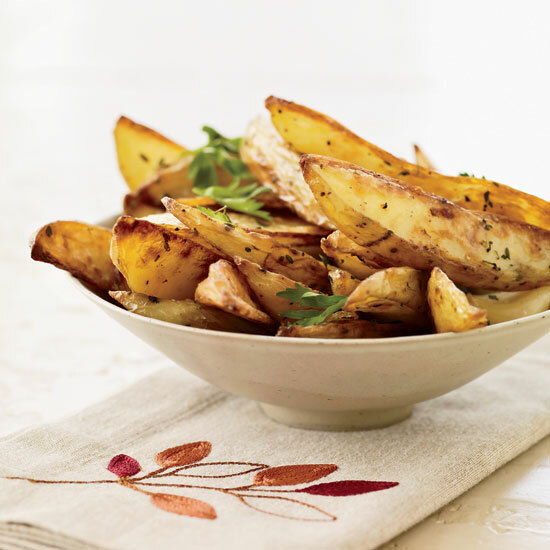 Thick-cut, skin-on oven fries are delicious served with buttery cloves of roasted garlic. 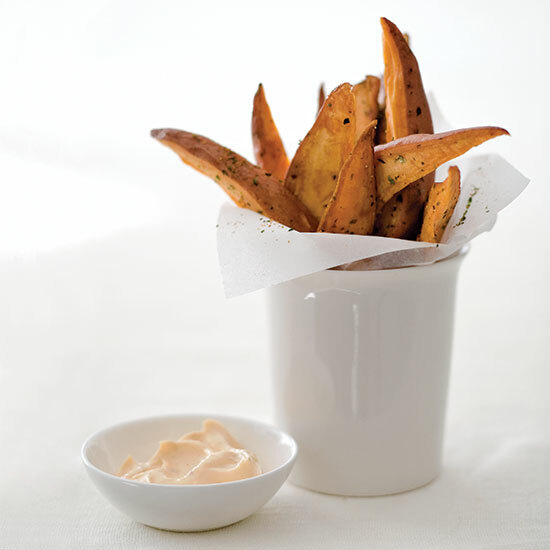 Toss fries with a blend of noir flakes and the tingly spice mix shichimi togarashi for an umami-packed snack. Top fries with melted cheese and gravy for a homemade poutine, or Americanize the classic Canadian dish by topping fries with spicy pimento cheese, andouille gravy and seafood like crawfish, crab or shrimp. 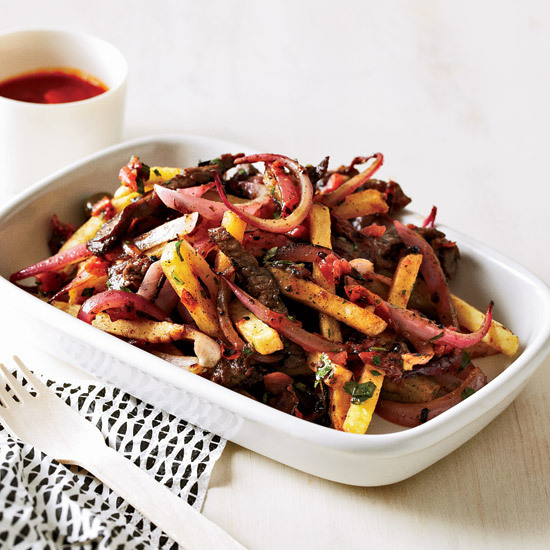 Peruvians stir-fry strips of steak and french fries for their classic dish, lomo saltado. 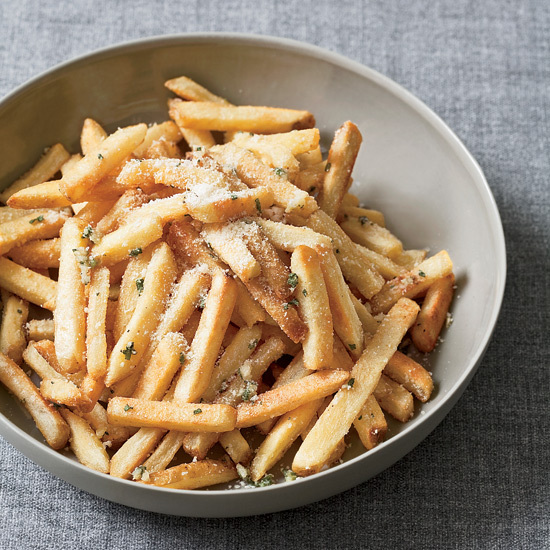 For a somewhat healthier french fry, bake them in the oven then toss them with minced garlic, fresh herbs and a little bit of grated Pecorino Romano. Austin food truck Chi’Lantro serves a famous late-night snack of hot french fries with caramelized kimchi, grilled Korean-style bulgogi beef and a mayonnaise spiked with Sriracha. 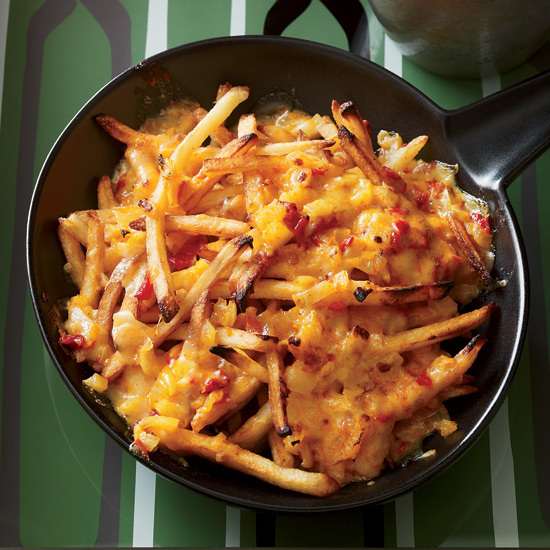 To take his french fries over the top, chef Jonathon Sawyer broils them with a tequila-spiked pimento cheese topping, which is also great as a dip.